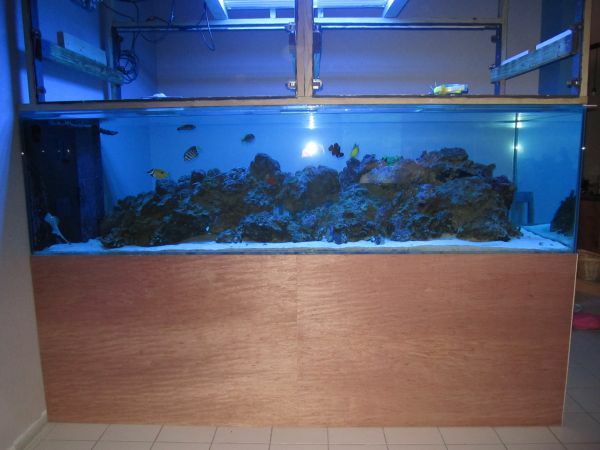 This is an incredible 660 Gallon Glass Aquarium with fish and coral. I got it a few months back which is why the cabinet isn’t built out. I just found out I have to move and can’t take it with me. I’m totally bummed but this is your opportunity if you’ve ever wanted an ocean in your living room. And others that I can’t think of. Lots of Live Rock as well.